Church officers are responsible for protecting the confidential information that most of them have access to. They are answerable to maintain privacy of the church data and documents, any sensitive and confidential information, proprietary information, its organization, staff, members and the Pastor. They should not discuss any internal church related business with any outsiders. Sometimes, violation of this agreement may even constitute ground for removal of the officer from the church. 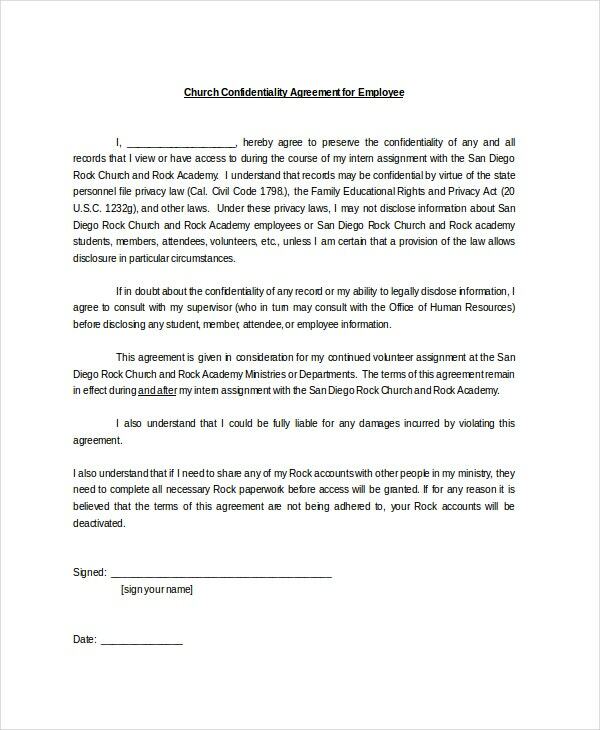 By signing a church confidentiality agreement, the officer accepts the guidelines for privacy mentioned in the document, and promises not to disclose it anywhere. You can also see Rental Agreement Templates. Volunteers and members of the church provide information about their finances, demographics, personal contact details, personal life details etc., and trust that church officers who have access to their sensitive information will do their best to maintain their confidentiality. For instance, if a person comes to the church and asks for an address, the church officers should know how to take care of such inquiries. 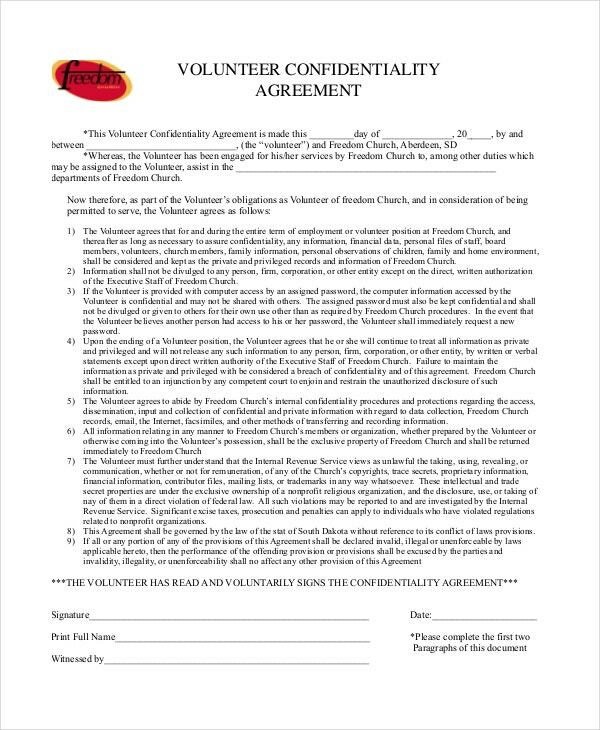 A church confidentiality agreement helps in safeguarding such information about the members and volunteers. The church maintains HR information about its employees and it is their responsibility to safeguard it as well. Such information includes the social security numbers, medical information, personal demographic data etc. of the employees. 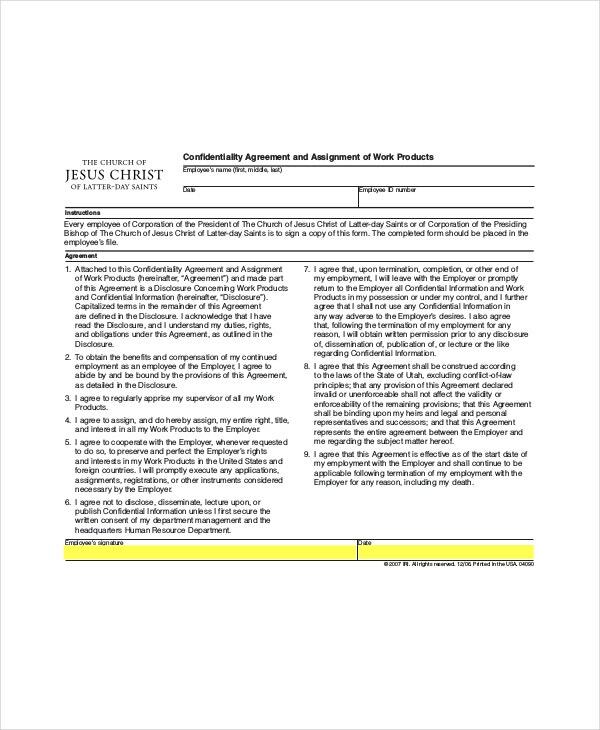 A church confidentiality agreement protects such confidential information from getting leaked. Whether on paper or in computers, church has loads of data that needs to be handled with confidentiality. That kind of data has to be kept secured and only a handful of officers should have authorized access to it. 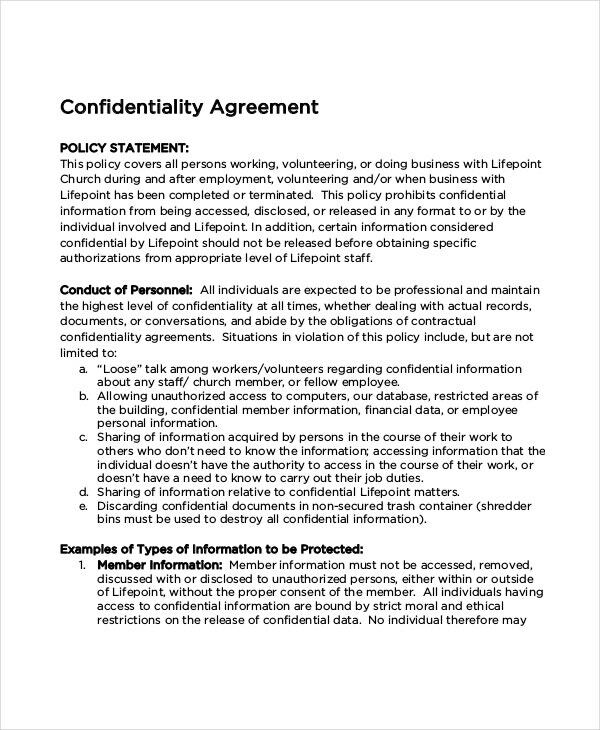 A church confidentiality agreement for data defends this data from getting exposed. Most of church’s operations are held through donations, and some donors do not want to reveal their name. Donors also give their personal information to be registered in the church’s documents, and expect that it should not be passed on to others. 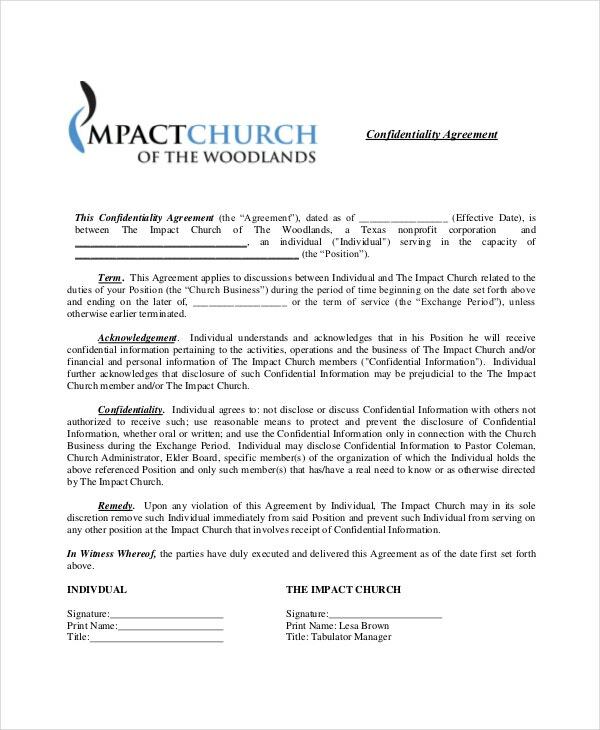 This is where a church confidentiality agreement needs to be signed. 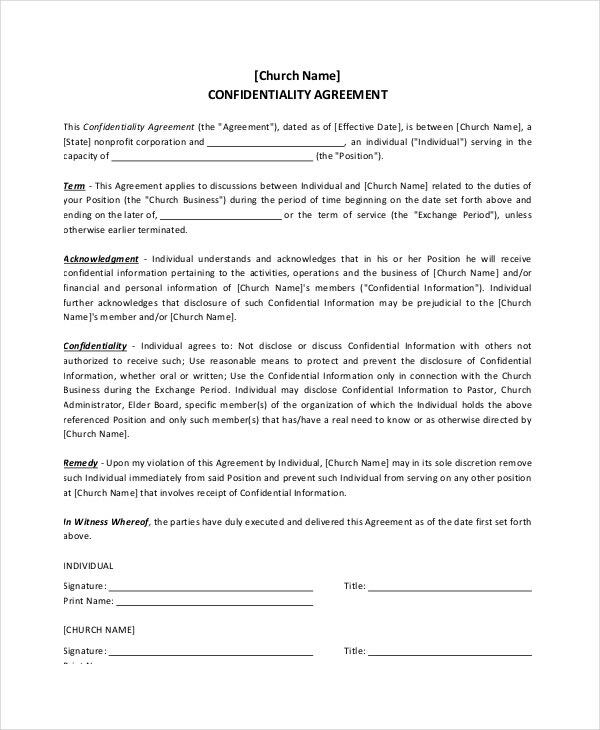 A church confidentiality agreement can be easily created by downloading a suitable template from the Internet, or you may hire an expert to design the document for you. 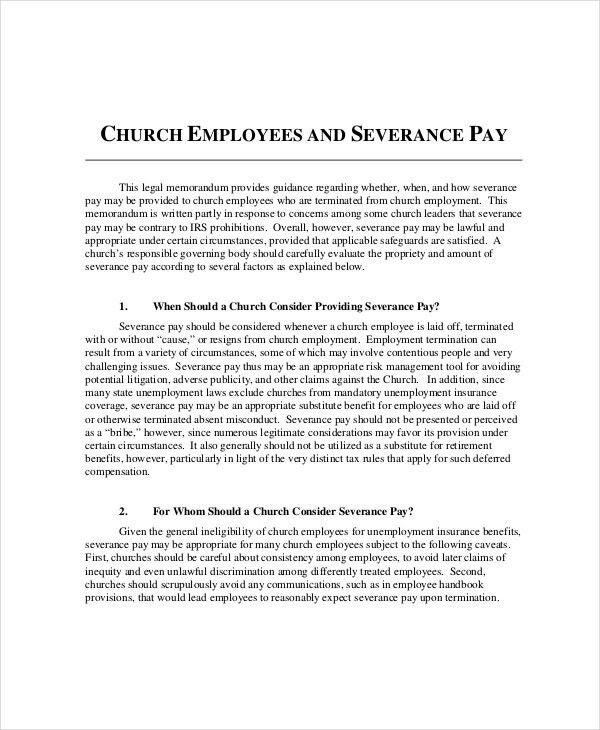 These Agreement Templates will be complete with the church and the party’s details, the information that needs to be protected, and the consequences of breach. A suitable template can be downloaded from here, and customized as per the individual requirements of the church and the information that needs to be protected. 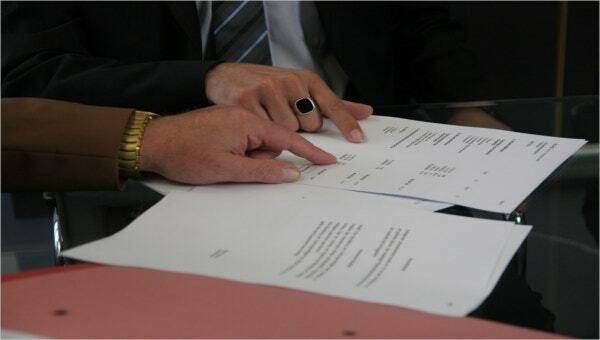 The templates have been designed by experts who are experienced in the field of designing legal documents. You can also see Basic Confidentiality Agreement.